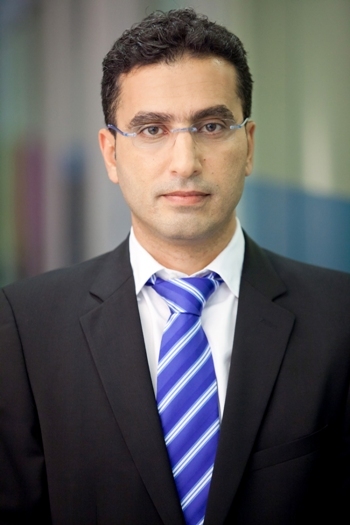 Eyal Manzoor appointed as Managing Director at Kornit Digital Europe GmbH. Eyal Manzoor appointed as Managing Director at Kornit Digital Europe GmbHKornit Digital, (NASDAQ: KRNT), a leading player in digital textile printing technology, has announced that Eyal Manzoor has been appointed as Managing Director at Kornit Digital Europe GmbH. In this capacity, Manzoor will oversee Kornit Digital’s operations in Europe, the Middle East and Africa (EMEA). He replaces Wilfried Kampe who has successfully completed the setup and initial expansion of Kornit’s European entity into a highly efficient regional representation with a strong focus on customer support. The change became effective January 1, 2016. Manzoor joined Kornit Digital in April 2007 and was appointed as Managing Director at Kornit Digital Asia Pacific in 2012. He has over 15 years of experience in the digital and textile printing areas, in customer support, sales and marketing and senior regional management. Prior to joining Kornit Digital, Manzoor worked for companies such as NUR Macroprinters and Scitex Vision. He holds a bachelor’s degree in Economics and Management from the Open University of Israel. Manzoor will relocate to Europe.